There are lots of smartphone in the market but Samsung Galaxy Beam I8530 is surely different types of phone. It is smart, it is slim but it also has a built in projector. Samsung announced the phone back in February but released in July 2012. It is now also available in UK though various online stores. Famous mobile phone retailer of UK, The Carphone Warehouse offers you the handset completely free with a number of contract options with Orange and T-Mobile. If you are not interested in contract offer then Clove Uk has the unlocked version Galaxy beam for you. There asking price is £412 ($647; €528). Expansys UK has two variants of Samsung Galaxy beam in their stock. One is the cheaper EU model of Galaxy beam, price starts from £385 ($605) and another is the UK model with a price tag of £410 ($644). If you are living is US then Amazon has the best offer comparing with all UK deals. 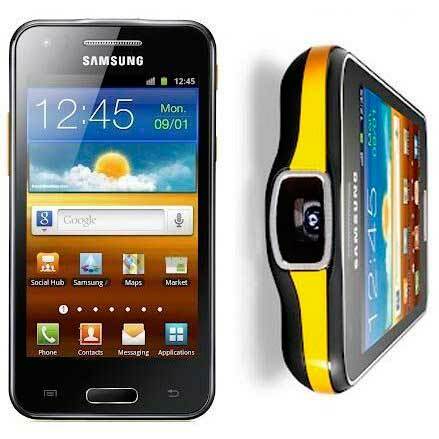 They are offering unlocked Samsung Galaxy Beam only for $528 at this moment. Unfortunately Amazon UK doesn’t have the handset yet on their selling list.